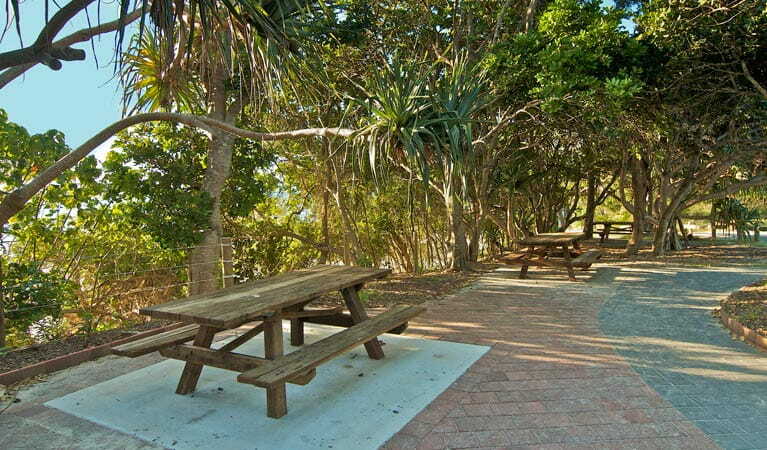 Palm Valley, or ‘The Pass,’ offers well-equipped picnic areas right by the beach, plus a popular café, several walking tracks, and access to the Fishermans lookout. Remember to take your binoculars if you want to go bird watching or whale watching. 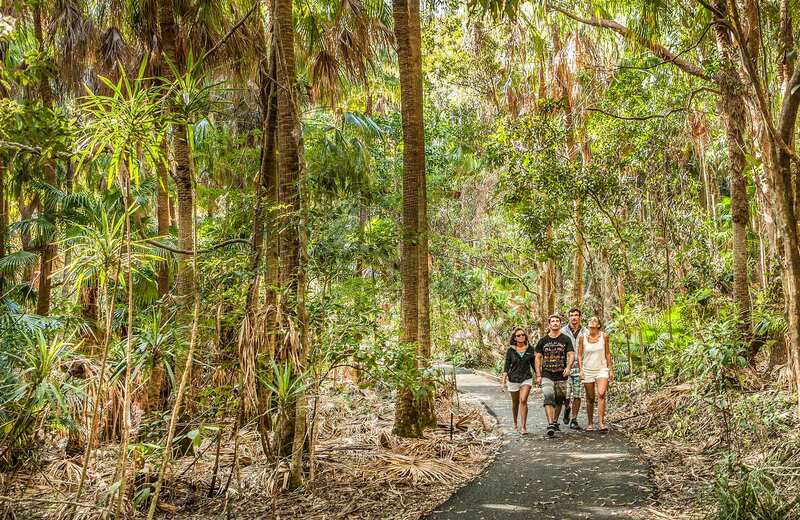 Not far from Byron Bay’s iconic lighthouse, Palm Valley – or ‘The Pass,’ as locals call it – is a terrific base for exploring nearby attractions. Delicious, seasonal meals can be found at The Pass Café, or take advantage of the large grassy picnic areas by bringing your own packed lunch and meat for the barbecues. Picnic tables overlook The Pass beach, popular for its surf and a great place to spend afternoons swimming or lying on the sand. An even better view of the surrounding area can be found nearby at Fishermans lookout. 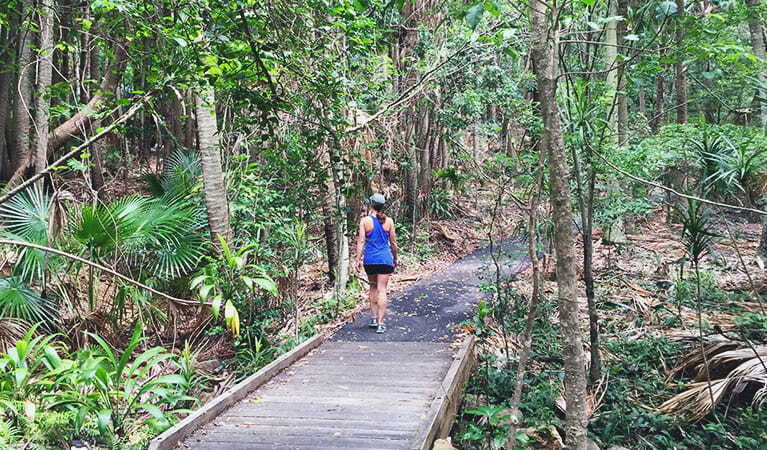 If you enjoy walking and birdwatching, you’ll want to check out a short wheelchair-accessible track adjacent to the parking area, which meanders through lush coastal palm rainforest. 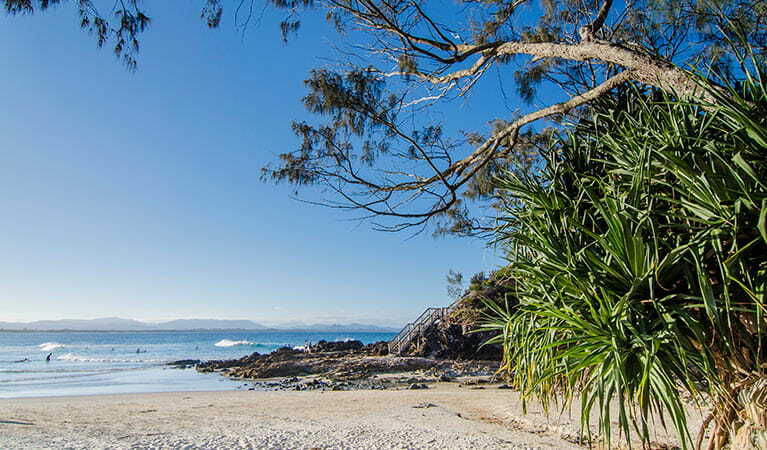 A longer walk will lead you up over the hill to Wategos Beach, and all the way to the stunning Cape Byron Lighthouse. If you’re looking to work up a sweat and get that heart pumping without leaving the Palm Valley area though, you can burn some extra calories at the outdoor gym, offering a selection of fitness equipment. With its variety of offerings, Palm Valley can be a busy spot on summer weekends when the surf is up. For a quieter visit, consider stopping by on fine days during the cooler months. NSW National Parks first recorded The Pass midden in Cape Byron State Conservation Area in 1980. And, in 2013, ancient archaeological midden material was repatriated and displayed on Country. Today, along with our Aboriginal community partners, NPWS works to protect The Pass midden, both now and into the future. 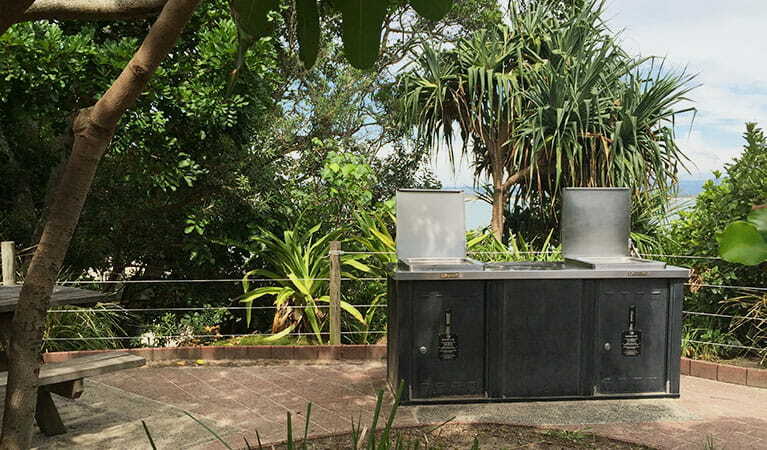 Cape Byron State Conservation Area is open all hours, but may have to close at times due to poor weather or fire danger. 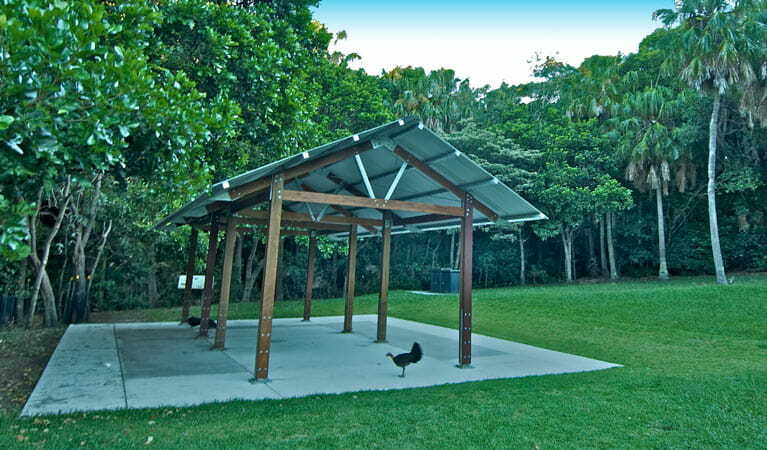 Cape Byron Lighthouse precinct is open 8am to sunset. The Maritime Museum in the former Lighthouse Keeper’s office at the base of the lighthouse is open 10am to 4pm daily. 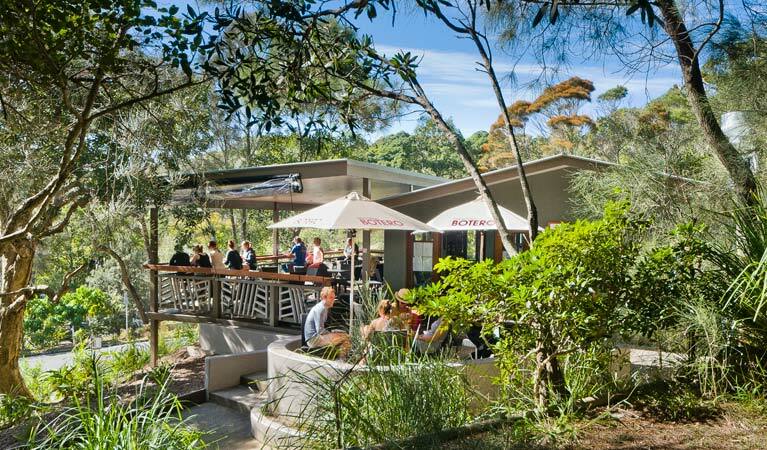 Opening before 8am for events or disabled access can be arranged by prior notice – contact NPWS Byron Bay office during business hours 02 6639 8300. $8 per vehicle per hour/$4 per hour motorcycles at Cape Byron Lighthouse precinct and Information Centre carpark. Maximum 1 hour per vehicle per calendar day, including all NPWS annual passholders. $4 per vehicle/motorcycle per hour in the lower lighthouse carparks and at Captain Cook lookout, Cosy Corner, and The Pass carparks. Coin-operated and credit card payment available.